FC Ifeanyi Ubah’s Cameroonian midfielder, Tamen Medrano, has applauded the advancement recorded by the League Bloggers Award (LBA), which has consistently honoured players and coaches in the Nigeria Professional Football League (NPFL) since 2012. “Back in 2012, awareness about the awards was low. However, it has made a lot of progress. The LBA started five years ago and today has achieved strong growth in terms of brand awareness and publicity. “Moreover, every month players do well to win the LBA. 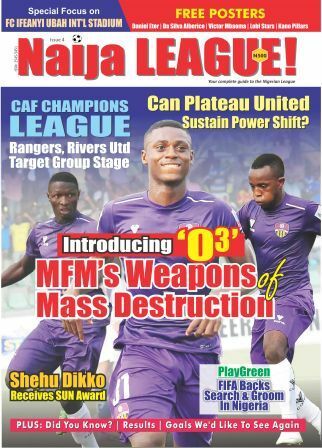 I know players target the award every month because of its immense value. Credit must go to the LBA organisers for creating a brand players now identify with. 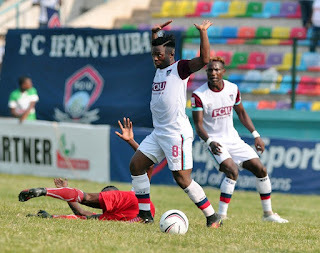 “The 2012 LBA Best Foreign Player Award remains precious to me,” he said to naijaleaguez.com.ng. Interestingly, Medrano’s coach, Yaw Preko, was recently named LBA Manager of the Month for May 2017.